The American Veterinary Medical Association maintains a model state veterinary medical practice act, which states often refer to when crafting their own practice acts for licensing and regulating veterinarians. Periodically, the AVMA solicits comments from its members and updates this document. The organization is currently accepting such comments until February 15, 2011. The document can be viewed here, and AVMA members can make comments on specific sections. As I have discussed before, in general terms and with reference to specific veterinarians, it can be difficult for state veterinary medical boards to effectively enforce a reasonable standard of care and protect pets and their owners from inappropriate or pseudoscientific treatments if the language of the law does not offer specific grounds for such enforcement. Since the language of the AVMA model practice act is often used as a basis for states when drafting their own laws, it has some influence on these laws. And because the AVMA is a membership organization dedicated primarily to representing the veterinary profession, the language of the model practice act is dependent on the internal politics of the organization. As with most such processes, the apathy of the majority increases the influence of those who choose to participate. I encourage any AVMA member veterinarians to examine the act and offer comments. Below are a few suggestions I have made with regard to my concerns about alternative veterinary medical practices. An important element of a medical practice act is protecting the public from substandard or inappropriate care. Unless the basis of actions against veterinarians providing inappropriate care are clearly defined in the practice act, courts are reluctant to discipline licensed veterinarians. The following are examples of language, drawn from the Federation of State Medical Boards (http://www.fsmb.org/pdf/2003_grpol_Modern_Medical_Practice_Act.pdf) and specific medical practice acts regulating M.D.s, which give the medical board adequate authority to enforce an acceptable standard of care. Skeptvet, how would your modifications read? Here’s the current version, reprinted below. With respect to the section on complementary and alternative medicine, the relatively small changes I suggested are in bold below. The key is that all diagnostics and therapies should be judged by the same standard, and the standard should be that of scientific, evidence-based medicine. The only reason a category like alternative medicine exists is to create an exception to this evidentiary standard for approaches that people wish to use but which have not yet met the standard or have clearly failed to meet it. I realize we are not going to legislate against such practices, and I don’t necessarily think we should. I just think it should be clear what the accepted standard is, and when an approach is not consistent with it clients should clearly understand that such practices are not part of accepted, science-based medicine. 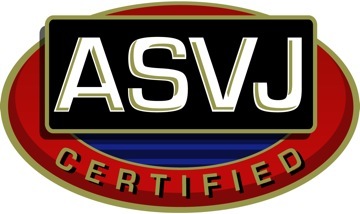 In California, for example, the practice act requires that before chiropractic (or “musculoskeletal manipulation,” as the act calls it for technical reasons) can be performed on animals, “The veterinarian shall obtain as part of the patients permanent record, a signed acknowledgment from the owner of the patient or his or her authorized representative that MSM is considered to be an alternative (nonstandard) veterinary therapy.” This is at least some level of protection for pet owners against being misinformed that such activities are standard, accepted medical therapies. Of course, you then have to enforce such rules, which is another issue. The rest of the modifications I suggested, to the section on disciplining of licensees, are also aimed at clarifying that there is such a thing as an accepted scientific standard of care and that violations of it are sanctionable under the law. This would help rein in the kind of nonsense offered by the Dr. Dodd’s of the world. I guess I would take issue with “some of” only because, again, I don’t see that the category of “alternative” has any meaning apart from distinguishing therapies that have not yet met the accepted standard of evidence but are in use anyway. Once something has met this standard (and unfortunately, often before as in the examples of glucosamine and probiotics), it becomes part of accepted scientific practice and ceases to be alternative. Perhaps not instantly, but in a reasonable period of time. Even radical and initially widely rejected ideas (e.g. Helicobacter as a cause of duodenal ulcers) can become accpeted relatively quickly if the have robust and consistent research evidence to support them. Most of the other rationales given for practices being “alternative” are nonsense: the postmodern notion of science and mysticism as different but equivalent ways of understanding the world, the fallacious distinction between “natural” and unnatural” medicine, and so on. The category is really an ideological one that incorporates many dissimilar and often mutually incompatible theories that are united only by having devout followers and inadequate supporting scientific evidence. Of course, I suspect the genesis of this difference in wording probably has to do with our difference of opinion of the status of acupuncture, which is still considered generally considered an alternative therapy even though you believe it to have adequate scientific justification. I’ll admit it’s an odd duck in that on the one hand it has the aura of alternative medicine, and is usually utilized by those practitioners fully committed to other alternative, and wholly irrational, methods such as homeopathy, chiropractic, and so on. But on the other hand, most conventional veterinarians I talk to, though they don’t employ it themselves, tend to accept that it has some established benefits, at least for pain. The orientalism and ideological attraction to “foreign” medical traditions and the fear of “unnatural” drugs and technological medicine makes acupuncture attractive to practitioners who are thoroughly pseudoscientific in their approach. Yet there is enough ambiguity in the clinical trial evidence to allow reasonable practitioners of scientific medicine to believe it might be a truly effective therapy. Personally, I believe the purported benefits to be essentially pscyhological in origin and so small but real for people and likely not truly beneficial for veterinary patients, but I’ll allow there is room for legitimate debate here and that it staddles the line a bit more than many of the other therapies we discuss (and I’m still eagerly awaiting your book to see if you can change my mind!). Still, what would be the purpose of enshrining the category of “complementary and alternative” in the law as one in which some therapies within the category are scientifically legitimate and others are not. How would the VMB be able to use this definition to regulate actual clinical practices? It seems to me that the goal of having such a category at all is to clearly identify as “alternative” or “nonstandard” those practices that do not have adequate supportive evidence so that they can be regulated differently, and ideally more closely, than established practices. Presumably in individual cases the board would have to support its categorization of a particular method as alternative or not. As it is now, there is no category which allows us to distinguish between antibiotics and crystal therapy, homeopathy or vaccination, etc. It might be that if, for example, a complaint was lodged on the basis of the use of acupuncture without clearly identifying it as alternative or non-standard that the board or relevant adjudicating body could examine the evidence and classify acupuncture as a legitimate therapy for the particular indication. Or it might say the evidence is not sufficient to classify it as standard accepted practice. Either way, there are distinct categories that can be regulated as the board or specific state law chooses. If legitimate and bogus therapies are both classifiable as alternative, I wonder what the basis of such a classification would be, and what utility it would have in terms of facilitating the enforcement of reasonable standards of care. As for the other modification, I think it does clarify the language, and I appreciate it. is homeopathy or other “unproven” treatments included? acupuncture and massage, based on what I consider to be solid reasoning that works to their patients’ advantage. Precisely. And the penchant among New Age practitioners for importing ideologies and appointing gurus unfortunately splashes paint on legitimate neuromodulatory interventions within medical acupuncture, massage, and other approaches from the same broad brush. That is why I think that the modification in the Model Veterinary Practice Act should have some flexibility, and sort the modalities via their scientific and evidence-based merit rather than whether they are now considered mainstream by practitioners who have little understanding of the pros and cons of CAM. In fact, we might find wisdom in these conclusions that could be integrated into the Model Veterinary Practice Act, having been assembled by the AVMLA at the request of AHVMA. No, this is the only method singled out for this kind of disclaimer. And, of course, in practice I’ve never seen anyone actually comply with this. I do’nt refer for chiropractic or agree to supervise it, so it’s not an issue for me. 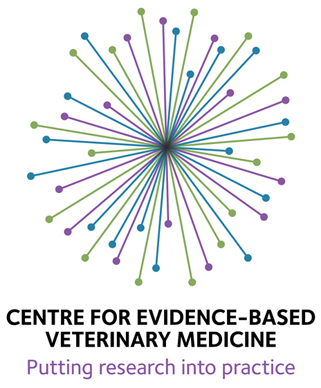 Of course our difference of opinion raises a key issue in incorporating any kind of evidence-based standard in regulation of veterinary medicine, which is how is such a standard established and adjudicated? This would be a contentious issue, since you can find advocates for even the most insane ideas, and also those who reject even the most well-established practices. This is a real problem, but I don’t think it’s an excuse for giving up. I think an imperfect system that recognizes a single science-based standard for determining the validity of therapies is still better than the “anything is fine so long as a licensed vet is doing it” approach we have now. I agree that there are multiple reasons for therapies to be attractive to alternative-mined practitioners and clients and unnattractive to conventional practitioners, but I do give the mainstream more credit than you appear to. Solid, consistent validation of an approach does lead to acceptance within the mainstream, and a major reason why acupuncture is still classified as alternative is the significant weaknesses in the supporting scientific data. Certainly, there is more solid an argument to be made for legitimacy than for, say, crystal healing, but the data for NSAIDs, for example, is far more definitive than the accumulated evidence for acupuncture despite decades of research. So while I agree cutural factors play a role, I think if the data is solid enough than a practice will eventually become mainstream. You argue for flexibility, but I think the language I propose has great flexibility. And I think we agree that scientific validation must be the single relevant standard. I just think that the primary reaosn for things being considered “alternative” is not the cultural resistance of the mainstream but the lack of convincing scientific evidence. And I think we need to have a clear category for therapies not adequately validated. We can call them “unproven” or something else, but I think “alternative” is overwhelmingly composed of such therapies already, and any that are mistakenly lumped in with that are going to get recategorized as the evidence becomes clear enough, so I think in practice we already have a category that serves that purpose. Any claim that a particular therapy is alternative and is not scientifically valid would have to be decided by a board, and quite likely that decision would have to be defended in court. Something with some degree of ambiguity or legitimate difference of opinion, such as acupuncture, would likely not be judged as failing to meet the standard of care. However, the political reality is that we are never going to legislate against even the most clearly ineffective herapies unless they cause gross, undeniable direct harm. So the only hope of having a law that does anything useful is to have one that at least allows us to separate scientifically validated from unproven or invalidated therapies and then requiring some level of disclosure about this status. Without this, we have a standard with no utility and it’s separate but equal again. The “two schools of thought” doctrine would apply (and has applied) to homeopaty or dowsing in the eyes of the law just as much as to a more ambiguous case like acupuncture. Unless we establish at least the principle that there are scientifically validatted therapies and unvalidated or invalidated therapies, and that they should be classified and regulated differently, then the law has no meaning.